Japanese Prime Minister Shinzo Abe pledged 750 billion yen ($6.1 billion) in financial aid to the "Mekong Five" countries that include Cambodia, Laos, Myanmar, Thailand and Vietnam at the Japan-Mekong summit held in Tokyo over the weekend. The scale of this Official Development Assistance (ODA), which will be granted over three years from fiscal 2016, is the largest since the summit was launched in 2009, with 500 billion yen offered in 2009 and 600 billion yen in 2012. This move comes amid China's active efforts to promote the Asian Infrastructure Investment Bank (AIIB), which Japan sees as a challenge to the Asian Development Bank led by itself. 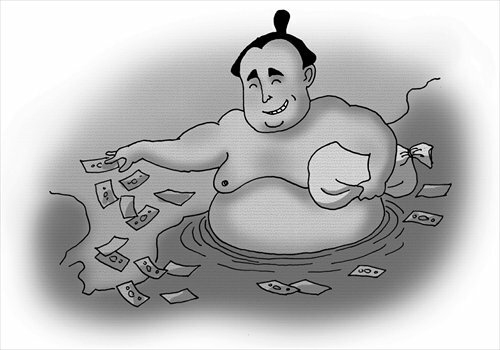 In recent years, the deteriorating Sino-Japanese relations have overshadowed Japanese investment in China and bilateral trade. With some other factors such as China's rising labor costs and the devaluation of the yen, Japan has looked to the ASEAN nations for investment opportunities. During the weekend summit, Abe said, "The peace and stability of the Mekong region is of great importance to Japan." Due to the region's vast market, rich resources, economic potential and low operation costs, ASEAN remains Japan's important trade partner. After Abe became prime minister in 2012, he chose Vietnam, Thailand and Indonesia as his first destinations, in an effort to expand trade relations with Southeast Asian countries and to raise Japan's regional clout. Infrastructure is a potential area for investment in the region. Not long ago, Japan announced it would invest $110 billion to support Asia's infrastructure, in an apparent bid to compete with the China-led AIIB which aims to help the region achieve sustainable economic growth. Japan has advantages in environmentally-friendly innovation and advanced industrial structures, while China has the upper hand in industrial capacity and cost-effectiveness, project construction ability and ability to adapt to different environments. There has already been a heated competition between China and Japan over the two over the construction of high-speed trains in Thailand. It is expected they will also face similar contentions in countries like India, Indonesia and Malaysia. It is worth noting that Japan is not only courting influence in the region to boost its image economically, it is also becoming increasingly vocal against China in territorial and other disputes. At the summit, Abe and other leaders made an implicit warning against China's land reclamation on some islands and reefs in the South China Sea, saying the recent developments in the South China Sea will "further complicate the situation" and may "undermine regional peace, security and stability." Japan is not a South China Sea claimant, and it has its own disputes with China over islands in the East China Sea. Japan does not want to see a close relationship between China and ASEAN. Under current circumstances, by picking up the South China Sea disputes and intensifying the situation, Japan wants to alienate China and ASEAN. This will help Japan further woo ASEAN and add to its own clout in its disputes with China over the East China Sea. Over the weekend, the nations in the Mekong region, except Vietnam, were reluctant to lean on Tokyo. Economically, the region can gain more assistance and investment from the rivalry between China and Japan. Diplomatically, it will have more leverage to seek a balance between big powers and maximize its own interests. Therefore, as China necessarily promotes its own strategies, it should emphasize its vision of long-term strategic cooperation with ASEAN. On some concrete issues, China should take ASEAN's demands and interests into consideration. For example, it should not only provide technological assistance and cultivate local talent, but also care about labor welfare and environmental issues. This will prove conducive to a win-win outcome.